Kids Puma DJ Trainers - Plays Music as you Walk! We’ve had some ace new Puma styles arrive at schuh kids and to be honest, we’re starting to get pretty jealous that our big feet don’t fit them! Take the Puma DJ Street for instance: this super cool hi top not only looks great but it also plays music AS YOU WALK! There are 6 unique beats triggered by 2 sensors in the sole and a sensor on the inside front of each foot, meaning each step unleashes a new collection of sounds! 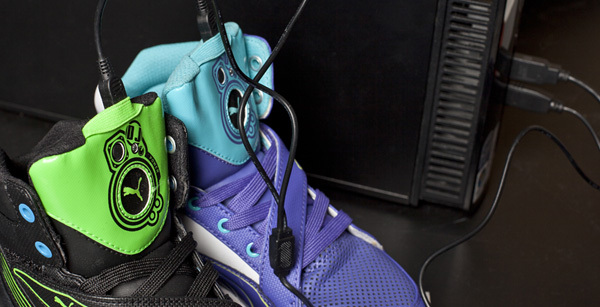 The shoes can be charged up using a USB cable and don’t worry; they can also be turned off! Watch the video to see them in action and get a pair for your own superstar DJ’s!